British businesses are being hit with more cyberattacks than ever before, and suffered severe financial effects, new research has shown. A report from NETSCOUT has estimated that DDoS attacks alone could be costing the UK economy more than £1 billion a year due to the damage being done. 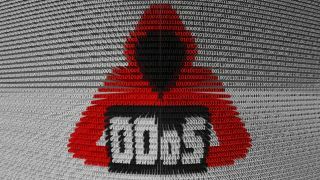 The report estimated that the average cost for each UK business that had seen downtime due to DDoS exceeded £140,000. Overall, 91 percent of the businesses surveyed by NETSCOUT said they had experienced network downtime as a direct result of a DDoS attack, leading to a major drop in productivity. The average annual downtime was measured at 67 minutes for the year, and the downtime costs were estimated at £2,140 per minute. Around 86 percent of major UK enterprises questioned were attacked at least once in 2018 with the effects not just limited to being offline. Revenue loss was reported by over a third (36.2 percent) of respondents, alongside other factors such as increased operational expenses (38.6 percent), reputational impact (36.2 percent), higher insurance premiums (31.9 percent) and loss of customers (30.7 percent), highlighting the longer-term damage successful attacks can bring. “The tools to initiate DDoS attacks are cheap, freely available and easily deployed - as a result, there are more than ten thousand DDoS attacks every day around the world," noted Darren Anstee, NETSCOUT CTO, Security. "The size and complexity of attacks continue to grow and businesses must make sure their key resources are adequately protected – including in the cloud, SaaS etc."